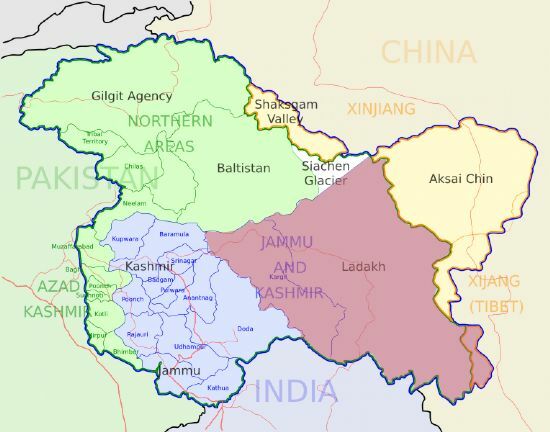 Ladakh is in North West India, in the state of Kashmir, positioned between Pakistan, China and Tibet. It is india’s most remote and sparsely populated region, a high-altitude snow-desert between the Karakoram and Great Himalaya ranges, and criss-crossed by a myriad of razor-sharp peaks and ridges. Ladakh means ‘land of high passes’, and is at an altitude of between 9000 ft and 25170 ft. After Siberia, Ladakh is the coldest inhabited place on earth! It is a staggeringly beautiful province, sometimes known as ‘Little Tibet’, and has been strongly influenced by Tibetan culture. The majority of the inhabitants are Buddhist. In the past, it gained importance from its strategic location at the crossroads of important trade routes, until the borders were closed with China. It opened its borders to the West in 1974, and still remains untouched by modern development. Only the most frugal methods enable its inhabitants to farm the thin sandy soil, frozen solid for eight months of the year, and scorched for the other four. Leh is the capital of Ladakh, situated at a height of 3505 m. It is a bustling town with a thriving community. Outside of Leh, villages are set among river valleys with the dramatic glacial mountains as backdrop. 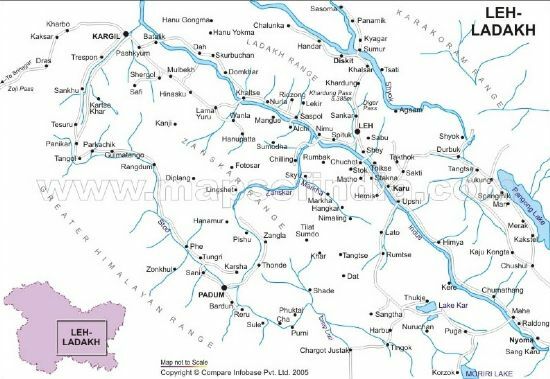 Click on the map below for a detailed map of Ladakh.